“These executives are driving real technology-led innovations that are changing the way their organisations operate,” said Byron Connolly, Editor-in-Chief of CIO Australia. 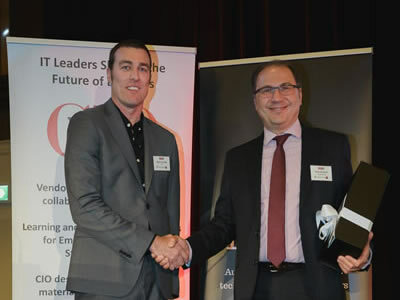 Dr Bolevich, who is Chief Information Officer of NSW Health and Chief Executive of eHealth NSW, was a first-time entrant in this year’s CIO50 list, judged by a panel of 12 chief executives, chief information officers and senior executives. Since commencing in the role in mid-2015, Dr Bolevich was instrumental in creating the eHealth Strategy for NSW Health: 2016-2026, which underpins the digital transformation of Australia’s largest public health system by guiding eHealth investment, implementation and service delivery. Bringing this strategy to reality is a massive undertaking which involves transitioning NSW Health’s systems and processes from paper-based, to a digitally-enabled and integrated platform delivering better patient experiences and quality health outcomes.